Scott Ward hails from New Orleans, Louisiana where he developed a keen taste for Creole Cuisine at an early age. Among his favorites growing up were Barbecue Shrimp and the ubiquitous Shrimp and Grits. A high school standout in football paired with his keen scholastic aptitude landed Ward a scholarship to play college football for the LSU Tigers. Later Ward’s love of food brought him on a fateful journey to Whole Foods where he worked his way through the ranks starting as a salad preparer then line cook, later advancing to meat cutter and Charcutier. 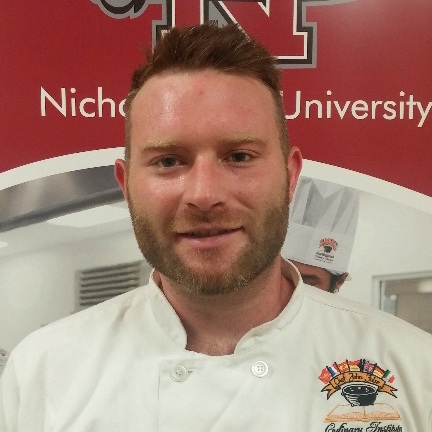 After gaining more experience as far away as Arizona, Ward decided to prepare himself for his future as a chef by enrolling at the Chef John Folse Culinary Institute at Nicholls State University.